A look at the Ojibwe way of living in the wild off of what nature provides for us. This program brings the past to the future and includes stories that were passed from generation to generation of living the Ojibwe way of life. How to live and conduct one self in harmony with nature, taking only what is needed to live and leaving the rest for future generations. 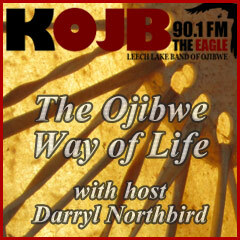 This program explores the culture of the Ojibwe people. Teaching our ways to non natives. Where we been and where we are going. Pay attention to them and their gifts. We are spiritual beings on this planet. Why we keep them to ourselves. Of various aspects of our lives. The importance of our spiritual names. Why we have them and keep them. Being Anishinabe in this day and age. Spiritual Elders and spiritual guide posts. They help navigate the animals. Discover your own signs to look at in nature. A bear story in the Ojibwe way of life. A day in the life of an Ojibwe.